The flourishing and fortified town of Jaipur opens doorways to history that predominantly flanks the landscape of the town. Nestled amidst the Nahargarh hills of the state Rajasthan in India, Jaipur has pages of history and antiquity attached to its subsistence. Now celebrated as a popular tourist spot, Jaipur's rich past of the Rajput rule still resonates today in its architectural edifices. The place encloses a number of architectural marvels that keeps the history of the town alive and breathing. Come explore the lanes of Jaipur, as it will certainly fill your travel experience with interesting moments, by reliving the past through the age-old arches, porches and pavilions. By Air: The Sanganer Airport at Jaipur, makes up for an important part of the town and is well connected to the rest of the country. By Rail: Jaipur Junction or Jaipur Railway Station is the busy and bustling railhead of the town. Regular trains to Jaipur are available from any major city of the country. By Road: Jaipur is well connected to other major cities of India via regular buses. Regular buses are available from its bus terminus, the Jaipur Bus Junction, which is located in the heart of the town. 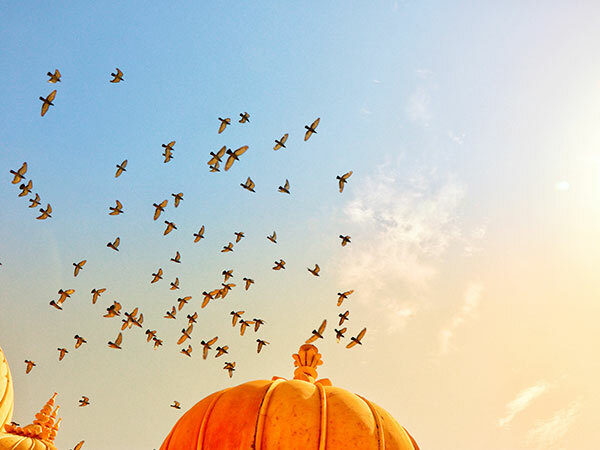 The best time to visit Jaipur would be in the winter months of November to February, where the temperature is pleasantly moderate, ranging from an average of 15°C to 18°C. Possibly the major attraction of the Pink City which boasts of some of the most exceptional architectural and design implements, the City Palace is an interesting potpourri of superlative ornate and heritage architecture. Constructed by Sawai Jai Singh II between the years 1729 and 1732 AD, this palace complex is a perfect blend of heritage architecture and historic significance along with the breathtaking view of the Pink City it bestows you with from the top. Another brilliant archaeological wonder of the town is the Amber Fort, which was constructed by Raja Mansingh in the year 1592. This historical marvel is a colossal red sandstone and marble edifice that resonates of Hindu-Muslim architecture. The historical site is abuzz with a heavy footfall of tourists and travellers alike, for its sheer brilliance of creative magnificence. The charm of this architectural grandeur, Nahargarh Fort, built aeons ago, is a delight to the eyes, overlooking the towns of Amer and Jaipur. The fort is the epitome of finest craftsmanship with exquisitely built twelve queen boudoirs which are well connected and beautifully adorned with intricate murals. The fort is known for the its stunning viewpoints of the cities nearby and therefore, is a popular attraction of Jaipur. Home to quite a few significant forts, the Jaigarh Fort, renowned as the Fort of Victory, houses the world's largest cannon, Jaivana. Built as a defensive fort for the Rajputs, the Jaigarh Fort exhibit exceptional brilliance of architectural grandeur, making this spot as one of the best places to visit in Jaipur. The fort attracts tourists in droves from all over the world. Get ready to be enchanted with the alluring charms of the decades-old aura of the Hawa Mahal. The Hawa Mahal is a curious exhibit of Rajasthani architectural style, built by Maharaja Sawai Pratap Singh in 1799. Popular by the name of 'Palace of the Winds', Hawa Mahal is a five-storey palace with 953 windows and slopes to reach the upper floors. With breathtaking fringes and pavilions opening up to enchanting views, the Hawa Mahal in Jaipur bears a prosperous mark in the pages of history that transports to a dream-like world of history and architecture.